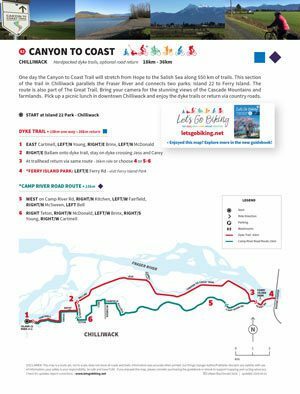 Canyon to Coast Trail – Let's Go Biking! 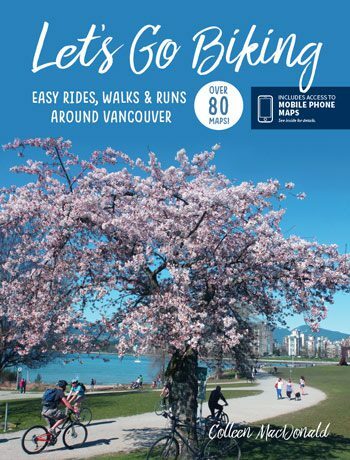 Canyon to Coast Trail – Let's Go Biking! 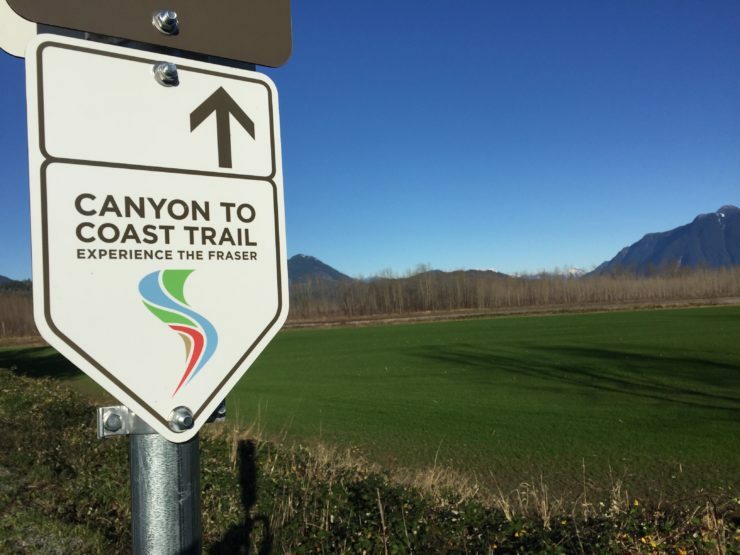 One day the Canyon to Coast Trail will stretch from Hope to the Salish Sea along 550 km of trails. 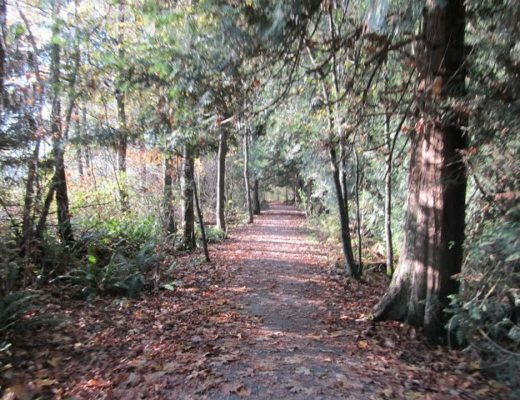 This section of the trail in Chilliwack parallels the Fraser River and connects two parks: Island 22 to Ferry Island. 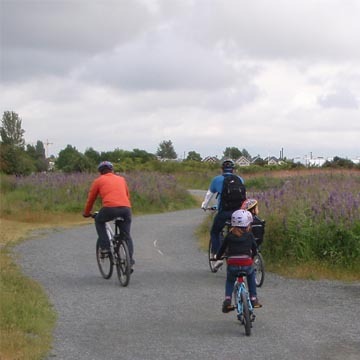 The route is also part of The Great Trail. Bring your camera for the stunning views of the Cascade Mountains and farmlands. 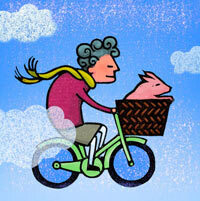 Pick up a picnic lunch in downtown Chilliwack and enjoy the dyke trails or return via country roads. 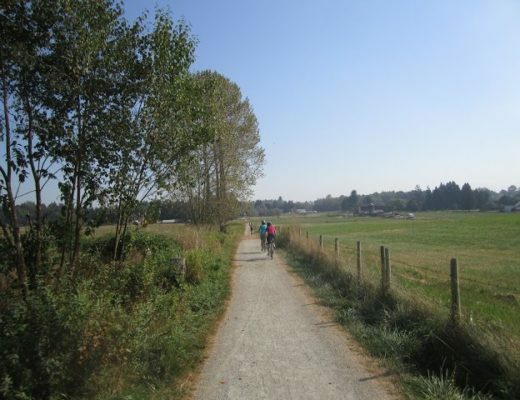 On the dyke trail past farms and enjoy mountain views. The Fraser River from Island 22 Park. 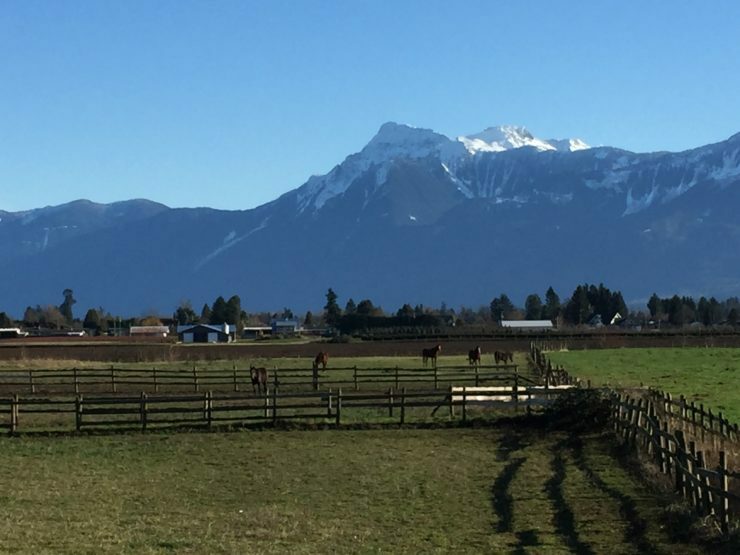 Mount Cheam overlooks peaceful farms. 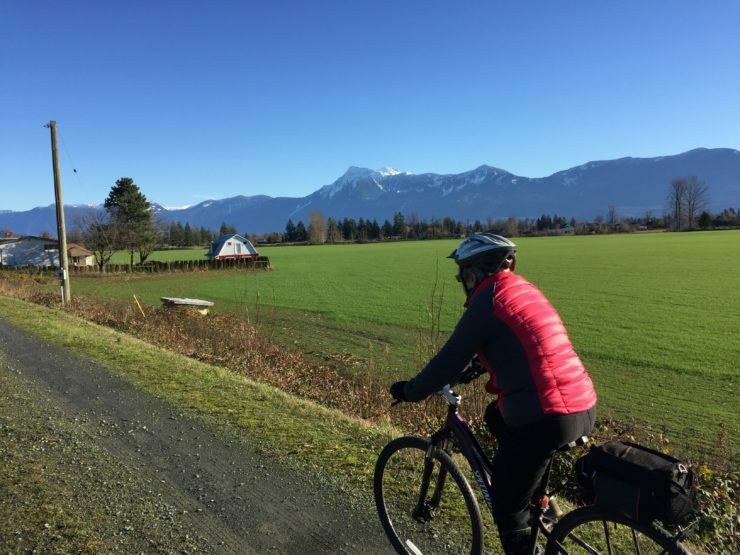 Thanks to BlogReader Ryan H for adding more fun information to this ride: “A few weeks ago, myself and few friends followed your route and rode the Canyon to Coast trail from Island 22 Park to Ferry Island Park and back. 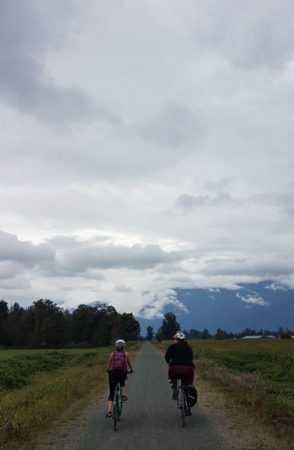 Riding through the fields, catching glimpses of the Fraser river, and exploring an area of our “backyard” that we’ve never explored was the perfect way to spend a Saturday. 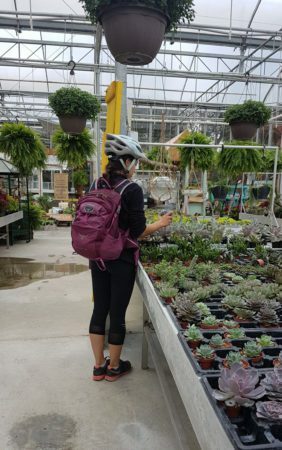 One of the highlights from our ride was stopping at Meadowland Flowers along Camp River Road and hanging out with the animals in the petting zoo! 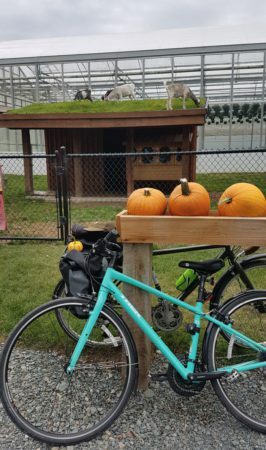 We rode back to the car with a few mini pumpkins and a new succulent in our bags!